Oh, wow! 2018 is starting up on a Monday. It's a New Week! A New Month! A New Year! What better time to have a new beginning if we want to?!? There are risks that go with decision making, and risks are too hard for those of us who think too much. We weigh things too much. But a decision has got to be made! The really important decisions, unfortunately, have to be made without certainty. If we get married, we do it without certainty that we are making the right decision. If we have children, we have them without knowing how they will turn out. If we decide to be Christians, we do it on faith. And these decisions are sometimes infused with fighting the feeling of whether we are deceiving or hurting ourselves. For all we know, it is only after a decision has been made that we realize whether we have chosen right. 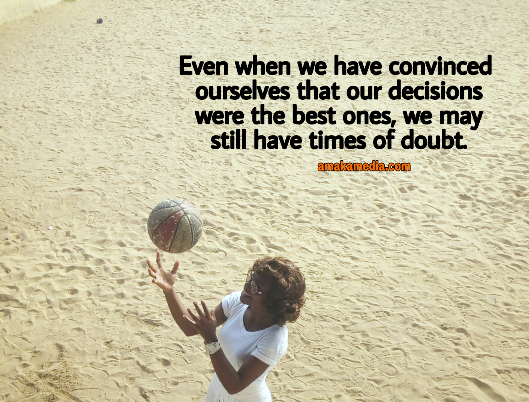 And even when we have convinced ourselves that our decisions were the best ones, we may still have times of doubt. But if we do not decide, then we have decided. To not decide is to let life decide for us. We just have to decide. For instance, if I am currently living in my father's house, trying to decide whether I am getting married this year, between now and August I would have made a decision. Of all the decisions any of us have to make, perhaps the most important is what we choose to become. I am ———— in 2018. "Just make a decision already!" "Whatever you decide on this matter is fine by Me!" Life for most of us is a constant struggle in which we never stop wondering (or should I say considering?) what it is we should become. In our communion with God we need to establish what we believe are viable goals and then set out to achieve them. I believe we live on a tiptoe sometimes, never sure of what the future holds, but having surrendered our lives to the One who will go with us into that future. We must constantly stay in tuned with the Spirit through the scripture and prayer. How Will You Know God's Will? God is a God of new beginnings, and He never leaves me with the sense that I have blown everything or that it's too late to try something new. I just know it when I "feel it in my bones". To me, it makes my journey with Him a daring adventure. OK. I have to admit that what I decide is built on a feeling. When the decision seems momentous, the feeling is deep and passionate. I listen; I pray. And at the end I act with fear and trembling. 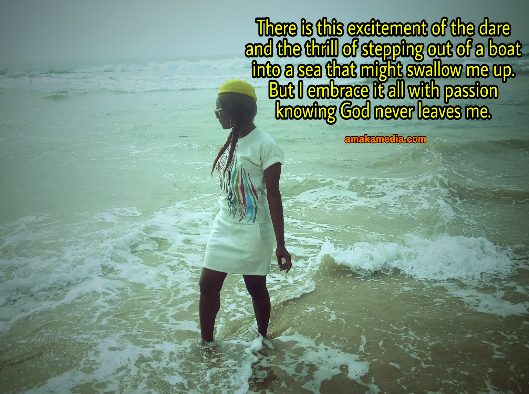 There is this excitement of the dare and the thrill of stepping out of a boat into a sea that might swallow me up. But I embrace it all with an inspiring passion and say thank you to a God who, by His grace, invites me to live creatively. Last year, we agreed (in flesh and in Spirit) that God was preparing us for this year. The time has finally come and it is up to us to decide whether we are indeed ready to step into the new realm. 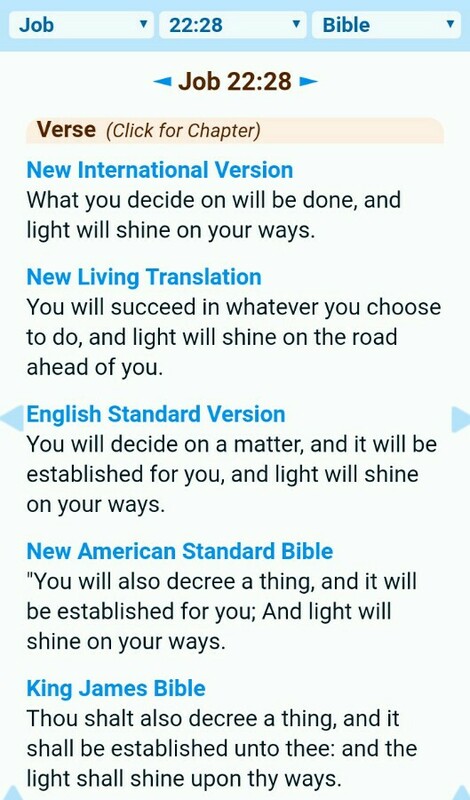 "Thou shalt also decree a thing, and it shall be established unto thee; and the light shall shine upon thy ways." Gosh, I checked out this verse in all the translations I could lay my hands on and I am totally loving it! "You will decide what you want and it will happen; your life will be bathed in light." Decide not to be held back by your past. Now it's not the time to keep silent. 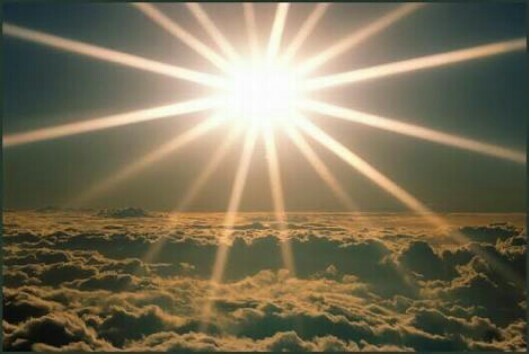 God prepared us so that He can shine forth His light upon us!! We have got to know how to decide on what area(s) we want to glow up. Decree a thing! He will give you what you decree. No lack in my house. I am taking my marriage back. I decide to take charge of business . . . I am more than a conqueror . . . Joy and peace will never depart from me . . . greater is He that is in me than he that is in this world . . . decree it! Maybe you have gone through trials and pain in the past year. Great! Those trials have produced in you patience, steadfastness, wholeness, tenacity, experience, maturity and wisdom. If you don't know what I'm talking about, I don't think I can explain it, except to assure you that there comes a time when a lady has to do something and not just sit there wishing for things to happen. You cannot afford to stand around doing nothing while the chance for your glow slips away. The stakes are high, but so what? You've got to make a decision already! 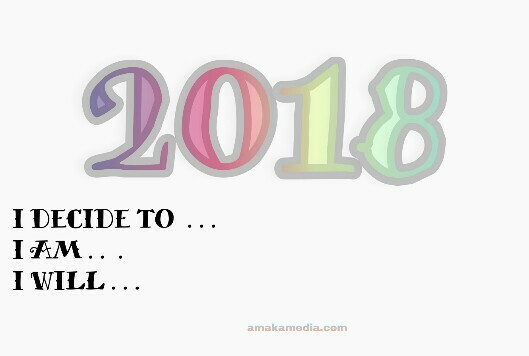 Have you decided what you want for 2018? P.s Most of the things I wanted out of 2017, I got. So I feel some pressure to be very precise and careful about what I say I want 2018. There’s power in what you say, people. We must not talk anyhow this year! P.s.s Yours truly will be away for about three weeks or more. Someone has got to go for what she wants. Happy New Year!!! Glow2018!! !